Our patients and families are the focus of all that we do. They inspire us daily, and we firmly believe that it is important to provide quality, compassionate care and support regardless of ability to pay. 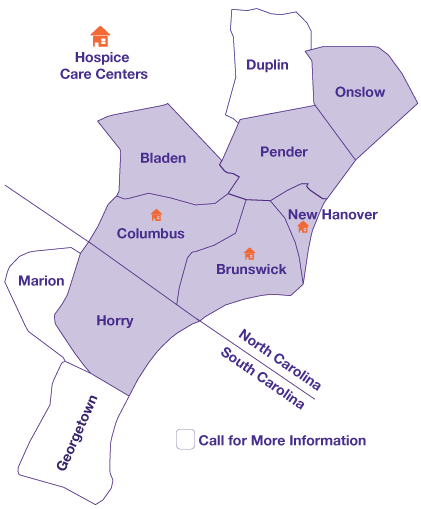 Your sponsorship or attendance at our events supports the mission of Lower Cape Fear Hospice, its programs and services that are not covered by a reimbursement source. We invite you to join us at one of our upcoming events! Hosted at the North Carolina Aquarium at Fort Fisher. 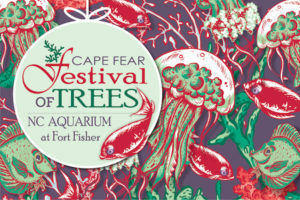 Set amidst the inspiring and educational backdrop of the North Carolina Aquarium at Fort Fisher, this year’s Cape Fear Festival of Trees is sure to be one of the most unique festivities on the Cape Fear coast! Hosted at the Aquarium, all visitors who purchase a general admission ticket to the Aquarium between November 17 and January 3 will also experience the Cape Fear Festival of Trees.